Diverging approaches towards market entry and uptake of biosimilars, even within a country, leads to regional variation in biosimilar use. This is the case in Sweden, where the 21 county councils control the healthcare budget and offer regional guidance. This study aimed to analyse the market dynamics of originator and biosimilar etanercept (outpatient setting) in the different counties of Sweden, and examine the influence of local policy measures and practices, in addition to national policy. This study was performed in three steps: (1) a structured review of the literature on (biosimilar) policies in Sweden; (2) analysis of market data on the counties’ originator and biosimilar etanercept uptake (quarter two 2012 to quarter four 2017) provided by IQVIA™; and (3) discussion of findings in face-to-face semi-structured interviews with the national pricing and reimbursement agency, key experts in the county councils of Skåne, Västra Götaland and Stockholm, and an industry representative. Notwithstanding the existence of a national managed entry agreement for etanercept, wide variations in biosimilar market shares between counties were observed (40–82% in 2017). Over time, early and late adopters of biosimilar etanercept can be distinguished. In quarter four 2017, biosimilar market shares of all counties slightly decreased in accordance with the lower priced originator product from 1 October 2017. As prescriptions for treatment with etanercept are often provided for a year, two approaches are possible to switch patients: active pullback of prescriptions resulting in additional workload, or wait until the patient’s next visit. Qualitative analysis indicated that the choice to use the biosimilar or the originator product depends on differences in rebated prices of the biosimilar and originator product, the presence of key opinion leaders, local guidelines, and financial streams and local gainsharing arrangements. Our estimates of current rebated prices and costs after gainsharing for the county councils and Government reveal only limited price differences between products. Regional variations in use of biosimilar etanercept can be seen although prices are coordinated nationally. This suggests that counties react differently to price differences and highlights the role of local policy and attitudes of stakeholders towards biosimilars and switching. It seems that some counties are hesitant to switch patients, as it is associated with an increased administrative workload that might not be compensated for by savings associated with a lower priced product. Arnold G. Vulto and Isabelle Huys are the joint last author. Biosimilar etanercept market shares between Swedish counties ranged from 40% to 82% in 2017 even though prices are coordinated nationally. The choice to use the biosimilar or the originator product depends on the extent of the rebated price difference, the attitude of key opinion leaders, local guidelines, and gainsharing arrangements. Price differences between etanercept products seem to be limited and might not compensate for the increased workload of switching. Worth US$39.8 billion in global sales in 2017 , inhibitors of tumour necrosis factor (TNF)-α, a cytokine involved in the body’s inflammatory response , represent a growing share of the global pharmaceutical market and put increasing pressure on national healthcare budgets. This market includes five different molecules—infliximab, etanercept, adalimumab, certolizumab pegol and golimumab—used in treatment of rheumatoid arthritis, psoriatic arthritis, ankylosing spondylitis, psoriasis and/or inflammatory bowel disease . Expiration of patents and other exclusivity rights on molecules in this class allow for competition from biosimilars on the market, which might result in lowered treatment costs and increased patient access to treatment. Changes in market dynamics of products in disease areas using TNF-α inhibitors are expected . Biosimilar infliximab was the first biosimilar of a TNF-α inhibitor that received marketing authorisation across Europe in 2013, under the names Inflectra® and Remsima® . Since then the infliximab biosimilars Flixabi® and Zessly®, and etanercept biosimilars Benepali® and Erelzi® have also entered the European market. Recently, TNF-α inhibitors Amgevita®/Solymbic®, Imraldi®, Cyltezo®, Halimatoz®/Hefiya® and Hulio® (adalimumab biosimilars) gained marketing authorization. Market entry of these products is expected as market exclusivity rights of the originator product, Humira®, expired in October 2018. In the European Union, decisions on pricing and reimbursement and policies on entry and use of medicines are the responsibility of the Member States. 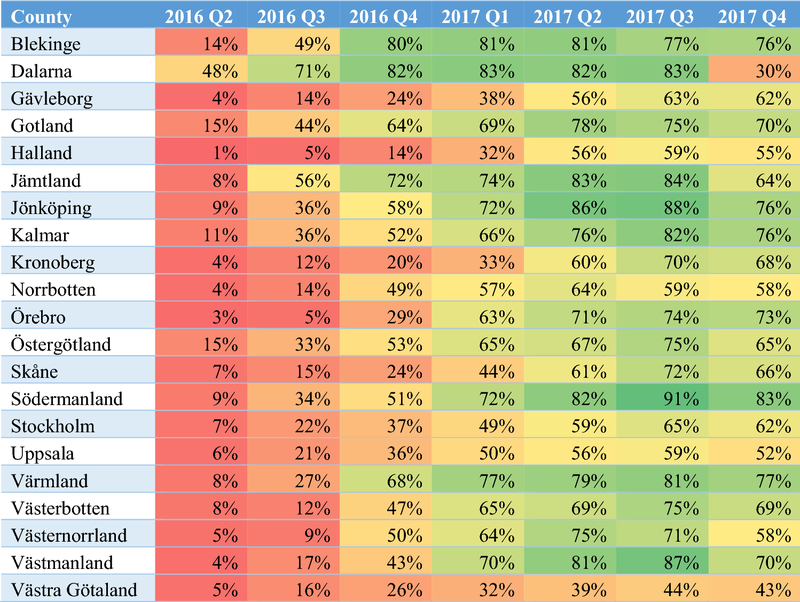 This results in diverging approaches towards market entry and uptake of biosimilars, leading to variations in use of biosimilars between countries , and even within a country [6, 7, 8, 9, 10, 11]. This is the case for the different counties of Sweden, implying that the decisions of the 21 county councils of Sweden play a role in market access of biosimilars, alongside policy measures and incentives provided at the national level. Sweden’s Health and Medical Services Act [12, 13] states the responsibilities of the different counties in the provision of healthcare to the population. Legislation and general health policy objectives are determined at the national level, but the 21 individual county councils will enforce policy measures, provide regional guidance and education on the rational use of medicines, and are also responsible to manage the healthcare budget for their county . Financing of the healthcare system occurs via taxes levied at national and county level and patient co-payment (with an annual threshold of 2200 Swedish kronor [SEK; ~ €214] for subsidised prescription medicines) . The Dental and Pharmaceutical Benefits Agency, a governmental agency under The Ministry of Health and Social Affairs, is responsible for decisions on pricing and reimbursement of medicines used in the outpatient setting (e.g. etanercept) . This means that reimbursed outpatient medicines will have the same price in each county, in contrast to the hospital setting, where procurement and accompanying pricing agreements occur at the county level. For subcutaneous TNF-α inhibitors, a financial-based managed entry agreement exists between the county councils and the pharmaceutical companies, led by the Dental and Pharmaceutical Benefits Agency (three-party negotiation) . Etanercept has been included in these agreements since 1 April 2016. During the first and the second agreement, from April 2016 to September 2016 and from October 2016 to September 2017, biosimilar etanercept, Benepali®, was ranked as the least expensive product. In the third managed entry agreement, the originator product, Enbrel®, was assigned the least expensive product in a 2-year agreement (October 2017 to September 2019). The Dental and Pharmaceutical Benefits Agency and the Swedish Association of Local Authorities and Regions then distribute a list of confidential prices to the payers (Drug and Therapeutics Committees of the county councils), who can make recommendations. The prescribing physicians will only know a price ranking of products included in the managed entry agreement. As rebates of these agreements are not transparent (only a ranking of products is available), list prices are not affected, but nonetheless savings can be generated . These savings are shared between the Government (40%), which has provided a grant for subsidised medicines to the counties, and the counties (60%), which promote the use of the most cost-effective treatment option. The aim of this article, the second part in a study on market dynamics of biosimilar and originator TNF-α inhibitors in Sweden, is to analyse market dynamics of originator and biosimilar etanercept in the different counties of Sweden, and examine the influence of local policy measures and practices, in addition to national policy. The first article discusses market dynamics of infliximab, a product mainly used in the hospital setting , while the focus of this second article is on etanercept, a product used in the outpatient setting (prescriptions are issued by specialists in the hospital or private practices, and dispensing occurs via the public pharmacy). In contrast to infliximab, prices for etanercept are coordinated nationally in Sweden. Still, regional variations in use of etanercept are observed, suggesting this is an interesting setting to study determining factors other than price in market dynamics. The methodology of this study follows the same strategy as the first article on market dynamics of infliximab : (1) a structured review of the literature on (biosimilar) policies in Sweden and its counties; (2) analysis of market data on the counties’ originator and biosimilar etanercept market shares; and (3) discussion of findings via follow-up interviews with key experts in a selection of counties. More details can be found in the first paper, as only a summary is provided here. As rebates offered in the managed entry agreements on etanercept were not included in the IQVIA™ data and are not transparent for the latest agreement, only a limited analysis of etanercept prices, based on publically available information, could be performed. To describe the main characteristics of the Swedish national healthcare system and policies on biosimilars relevant to the outpatient setting, literature in PubMed was reviewed up to the end of November 2017. Additionally, articles and reports known to the authors were included. To illustrate and quantify market dynamics in the etanercept market, market data from quarter two of 2012 to quarter four of 2017 on different pack sizes of originator and biosimilar etanercept in each county were provided by IQVIA™ . The evolution in volume (measured as defined daily doses) of each product, and market shares of the biosimilar as a share of the total etanercept market (based on volume) were calculated over time for each county. Rebated prices of originator and biosimilar etanercept in the latest managed entry agreement were estimated based on list prices available on the website of the national pricing and reimbursement agency (the Dental and Pharmaceutical Benefits Agency) and an indicative rebate level for etanercept in a conference presentation [19, 20]. After an initial discussion with the national pricing and reimbursement agency, semi-structured interviews were conducted with five representatives and experts on biosimilar policy in Skåne, Västra Götaland and Stockholm. Additionally, an industry representative was also interviewed. Afterwards, results were verified with the national pricing and reimbursement agency. Data on the uptake of the etanercept biosimilar Benepali® show a wide variation in biosimilar market shares (based on volume) between the counties, ranging from 40% in Västra Götaland to 82% in Södermanland in 2017. As prices of outpatient medicines are determined on a national level, this variation in uptake of biosimilar etanercept is not driven by price differences between counties. Sales of Erelzi® are not seen until quarter four of 2017 and are negligible (0.001% of etanercept market). When observing biosimilar market shares of counties over time, early and late adopters of biosimilar etanercept can be distinguished (Table 1). At the time of market entry of the biosimilar, most counties seemed not to be prepared, with the exception of the county of Dalarna that had an initial biosimilar etanercept market share of 48% in quarter two of 2016, while biosimilar market shares in other counties ranged from 1 to 15%. Over time, consistently lower biosimilar market shares can be observed for Västra Götaland. In quarter four of 2017, biosimilar market shares slightly decreased in all counties in accordance with the lower price of the originator product from 1 October 2017. Again, Dalarna was prepared to switch back, as the biosimilar market share drops from 83% in quarter three of 2017 to 30% in quarter four of 2017. An overall increase of the volume of etanercept over time can be observed. From quarter two of 2012 to quarter four of 2017, the volume of etanercept increased by 56%, with a steeper slope after the entry of the first biosimilar in quarter two of 2016 (Fig. 1). Two potential explanations for this trend were identified during the interviews: (1) the adoption of a lower threshold for initiating treatment with a biological medicine, in particular for molecules with lowered treatment costs, leading to more patients that are started on a product for which a biosimilar exists; and (2) increased dosing for products that are now less expensive. In Stockholm, the increase in volume of etanercept has not led to a decrease in volume of other TNF-α inhibitors, meaning that patient access to treatment with TNF-α inhibitors has increased over time in Stockholm. A simulation of rebated prices per vial of originator and biosimilar etanercept and associated costs for county councils and the Government in the latest managed entry agreement on subcutaneous TNF-α inhibitors (1 October 2017 to 30 September 2019) was performed based on list prices available on the website of the Dental and Pharmaceutical Benefits Agency , taking into account that prices of etanercept have decreased by approximately 65%  (Table 2). In the latest managed entry agreement, the originator product Enbrel® was the least expensive product. However, from 1 October, biosimilar Erelzi® was introduced at a list price of SEK1514 and the list price of biosimilar Benepali® was lowered from SEK2135 to SEK1514, now matching the cost that the county councils would pay for the originator product (assuming no additional discounts/rebates), and in this way limiting incentives to switch back to the originator product. Interviewees also indicated that the price difference was small. In March 2018, the list price of the originator product was further decreased, but a 12-pack of Benepali® was also introduced on the Swedish market, which is, according to the simulation, the actual least expensive treatment option per year and per patient and can be used to ensure market share via stable patients. This was confirmed by the interviewees. The selected counties appear to have similar recommendations on the use of etanercept. In the county of Stockholm, the expert council on rheumatic diseases issued its recommendations in April 2016 , stating that there are no relevant differences between Enbrel® and Benepali®; therefore, it is recommended that the most cost-effective alternative is chosen. They also recommend a switch for patients who are stable and informed. In Skåne, new recommendations were drafted in December 2017 following the outcome of the third managed entry agreement on subcutaneous TNF-α inhibitors . For the current agreement, the use of Enbrel® as the most cost-effective product is recommended. Also, a switch from the biosimilar back to the originator product should be offered to the patient. In Västra Götaland, the rheumatology therapy group recommends use of the least expensive product when starting a new patient , and also state that a one-time switch for stable, informed patients can be considered. As prescriptions for treatment with etanercept are mostly provided for a year, two approaches are then possible to switch patients: active pull-back of prescriptions resulting in an additional workload, or wait until the patient has their next visit. The additional workload associated with switching, due to having to call in patients to the hospital to see the prescribing physician for a new prescription, was acknowledged by the county of Stockholm. In Skåne, no prescriptions were pulled back when the first biosimilar for etanercept entered the market in April 2016, instead they waited for the next visit to talk to the patient. Also in Skåne, the interviewees mentioned that patients accumulate packages of the originator product at home and, thus, they continued using the originator product after a change of prescription to the biosimilar. Since new price agreements in October 2017, new patients start on the originator product (the least expensive etanercept in a new managed entry agreement). It was decided that patients on the biosimilar would not be actively switched back to the originator product since the price difference is not large enough, but instead patients would be able to decide during the next visit. In Västra Götaland, no patients were switched from the originator product to the biosimilar, which was less expensive at the time of market entry, as concerns regarding the safety of switching still existed at that time. In line with regional guidance, only new patients were started on the biosimilar. This turned out to be a fortunate decision, as in October 2017 the originator product was announced to be the least expensive etanercept product in a new 2-year agreement. Interviewees indicated that awareness exists among physicians in Sweden of healthcare budgets being under pressure due to the use of biological medicines. The Swedish healthcare system proved to be a system based on solidarity, with physicians having an altruistic approach towards the rational use of medicines and redistribution of savings. As the number of specialists in each area is relatively low, communication between specialists on how to approach the entry of biosimilars and adherence to agreements was found to be facilitated. Savings that are generated by leveraging competition arising from biosimilars are used to increase patient access to treatment, not only in this but also in other therapeutic areas, e.g. oncology. Counties have a focus on sustainability of healthcare budgets and how to use them in a rational, evidence-based way, instead of focusing on making savings. The interviewees identified several drivers that could influence the decision to use the originator product or the biosimilar. Except for differences between rebated prices of the originator product and the biosimilar, the following drivers differ between the counties and can influence the extent to which the most cost-effective product is used. First, the attitude of key opinion leaders and clinic heads plays an important role, as they are often members of a county council expert group and are believed to have an opinion based on review of the scientific literature. These opinions can both positively or negatively affect biosimilar uptake. Secondly, prescribing guidance to physicians is offered by the county councils in the form of recommendations. Follow-up on adherence by prescription monitoring further enforces this driver. Thirdly, financial streams and local gainsharing arrangements in counties lead to different levels of stakeholder incentivisation. For reimbursed outpatient medicines, savings are shared between the Government and the counties—in 2018 the county councils will repay 40% of the savings to the Government. The remaining savings were said to stay within the drug budget in Skåne, Stockholm and Västra Götaland. In the long-term, savings made by specialists in the hospitals end up with the county councils. In Skåne, approximately half of the savings in the hospital stay within the departments affected and half can be used in other therapeutic areas. In the long-term, the hospital budget may be decreased. In Stockholm, large hospitals that prescribe outpatient drugs have to cover 50% of the costs from their own budget, and thus also gain savings on that portion. This is an incentive for the hospital management, but the risk exists that the hospital or department will receive less money the following year. In Västra Götaland, savings would also stay within hospital departments in the short-term, but the hospital budget might also be decreased over time. This article is the second part in a study on the market dynamics of biosimilar and originator TNF-α inhibitors in Sweden. The current study describes characteristics of the Swedish healthcare system relevant to the outpatient setting and the market situation of etanercept, the volume evolution of originator and biosimilar etanercept, and biosimilar market share over time in the different counties of Sweden. It further exemplifies approaches towards the entry and use of biosimilar etanercept for a selection of counties. The recommendations of the county councils interviewed on the use of etanercept [21, 22, 23] indicate that attitudes of the relevant expert groups conform to the position statement of the Swedish Medical Products Agency. This position statement specifies that the biosimilar and the reference product have an equivalent benefit–risk balance, and switching from the originator biological to the biosimilar is an option for stable, well-informed patients [7, 24]. The current system of managed entry agreements has the advantage of providing an incentive to county councils to promote the uptake of the least expensive product, albeit on a voluntary basis. However, this system lacks transparency and does not attain full competition given that competing bids are only ranked, and actual bid prices are not made public. On the other hand, the managed entry agreements include a clause that prices can be renegotiated every 6 months in the event a company with a new subcutaneous TNF-α inhibitor has applied for reimbursement. This might stimulate competition more than the use of tender contracts with a longer duration in the hospital setting. However, the rules on the managed entry agreements are not as well-defined as in the strict legal framework on tendering. This is illustrated by companies bypassing rebate agreements by lowering list prices or introducing new package sizes (Table 2). By introducing other package sizes, companies can make bids that do not affect European/international comparison. In contrast to the infliximab market, where regional variation is primarily driven by price differences due to different tender contracts, the prices of etanercept products are the same across Sweden. Therefore, differences in the decision to switch to the biosimilar or wait for lower rebated prices in future agreements seems to purely be affected by the differences in counties’ policy and differences in attitudes of key opinion leaders and prescribers towards biosimilars and switching. It seems that for etanercept, some counties are hesitant to switch patients from the originator product to the biosimilar as it is associated with administrative work to change prescriptions that are often prescribed for a whole year. Furthermore, differences between rebated prices might not be as substantial as for infliximab and counties cannot individually determine the duration of the agreement to adapt to physicians’ attitudes. The interviewees taught us that counties are not ready for multiple switching from the originator to the biosimilar and vice versa, or between biosimilars. In contrast, in the hospital setting, where tender contracts are managed at the county level, counties have more autonomy to align the duration of a contract with policy measures. However, the latest managed entry agreement with a duration of 2 years might encourage physicians to switch patients to the least expensive product. As this is the originator product, one would expect that biosimilar market shares will rapidly decline. Nevertheless, pricing strategies for the biosimilar, as illustrated in Table 2, will influence market dynamics. After launch of the biosimilar, the uptake of biosimilar etanercept was overall quicker than for infliximab . This might be because experience had already been gained with the infliximab biosimilar in the period before the etanercept biosimilar was launched in the Swedish market. In addition, in the hospital setting counties could be locked into a contract for the originator at the time the infliximab biosimilar was launched. A wider variation in biosimilar market shares of infliximab than for etanercept can be noticed between counties (infliximab: 18–96% vs. etanercept: 40–82% in 2017), with biosimilar market shares for etanercept not reaching as high values as for infliximab, probably due to a limited price difference between originator and biosimilar etanercept. There was no apparent relation between biosimilar market shares of infliximab and etanercept in counties, i.e. a high biosimilar market share for infliximab does not necessarily lead to a high biosimilar market share of etanercept. This might be due to contrasting price differences between the originator and biosimilar in a county for infliximab versus etanercept. Overall, it can be noticed that factors influencing decision-making between biosimilar or originator products are considered the same for the infliximab and etanercept market, with counties responding to differences in price between products. The simulation on actual costs of etanercept in the current managed entry agreement revealed only limited differences between the biosimilar and the originator product, whereas price differences for infliximab in the tender system tend to be larger. A limitation of this simulation is that rebate estimates were not available for the biosimilars, although such rebates may occur in practice. Another limitation is that the level of market data does not discriminate between indications. As these indications differ between etanercept and infliximab, i.e. etanercept is not prescribed by gastroenterologists, the influence of this factor could not be studied. This study on infliximab and etanercept highlights the importance of providing prescription guidelines and consultation between stakeholders. Future research could aim to investigate pricing and reimbursement mechanisms of the outpatient setting in other European countries and study whether our observations also apply in other markets. Repeating the analysis when more competitors have entered the market could also give additional insights, as the influence of, for example, Erelzi® could not be examined in this study. In addition, information on discounted prices would allow a more in-depth insight into market dynamics. 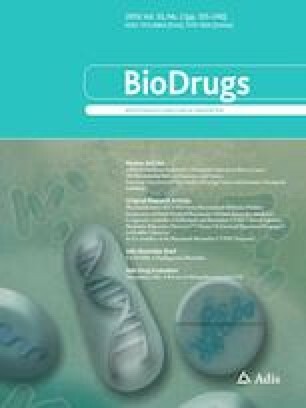 Although the focus of this study was on market dynamics in the biosimilar and originator etanercept market in Swedish counties, we surmise that, when looking at future market evolutions, the entry of biosimilars to adalimumab in October 2018 will influence the current managed entry agreement for subcutaneous TNF-α inhibitors. However, the current managed entry agreement at the time of writing ran until 1 October 2018, while biosimilars for adalimumab could only enter the market on 16 October. It was not clear from our study how this discrepancy will be approached. As prices are negotiated on a national level, it is difficult for counties to prepare for changes in prices. In our opinion, and based on learnings from the etanercept market in Sweden, three scenarios may occur: (1) the originator is the least expensive product and nothing will change; (2) the biosimilar is the least expensive product, but only new patients will start with the biosimilar since the price difference is not large enough to incentivise physicians to switch patients; or (3) the price difference between the biosimilar and the originator is large enough that patients will probably be switched to the biosimilar. To trigger a second switch, the next biosimilar should be priced substantially lower. Regional variations in use of biosimilar etanercept can be observed although prices are coordinated nationally, indicating that counties react differently to price differences and that the decision to switch or wait for lower prices is only affected by the county’s policy and attitudes of key opinion leaders and prescribers towards biosimilars and switching. It seems that some counties are hesitant to switch patients, as it is associated with an increased administrative workload that might not be compensated for by savings associated with a lower priced product. The authors would like to thank Karl Arnberg and Gustaf Befrits, in their respective functions at the Dental and Pharmaceutical Benefits Agency and the Stockholm County Council, for sharing insights in the Swedish healthcare market and market dynamics on originator and biosimilar infliximab, and their valuable feedback on the manuscript. The authors also wish to thank Björn Wettermark for critical review of the manuscript. The statements, findings, conclusions, views and opinions contained and expressed herein are not necessarily those of IQVIA™ or any of its affiliated or subsidiary entities. IH, AGV, SS, PT and EM developed the idea for and were involved in the design of this study. EM and AGV were involved in data collection. EM drafted the initial version of the manuscript. IH, AGV, SS, PT and PD critically reviewed the manuscript. All authors read and approved the final manuscript. SS, IH and AV have conducted biosimilar research sponsored by Hospira (now Pfizer). SS was involved in a stakeholder roundtable on biosimilars sponsored by Amgen, Pfizer and MSD, and has participated in an advisory board meeting for Pfizer. SS currently works with Pfizer, and works with Celltrion as a consultant, to carry out biosimilar research. AGV is involved in consulting, advisory work and speaking engagements for a number of companies, including AbbVie, Accord, Amgen, Biogen, EGA, Pfizer/Hospira, Mundipharma, Roche and Sandoz. PD participated at advisory board meetings for AbbVie, Amgen and Hospira, and is on the Speakers’ Bureau of AbbVie, Celltrion, Hospira, Merck Serono and Roche. PT is employed by IQVIA™. EM declares that the research was conducted in the absence of any commercial or financial relationships that could be construed as a potential conflict of interest. This study was supported by KU Leuven and by the Fund on Market Analysis of Biologics and Biosimilars following Loss of Exclusivity (MABEL). EMA. Download medicine data—European Medicines Agency. European Medicines Agency. 2019. https://www.ema.europa.eu/en/medicines/download-medicine-data. Accessed Mar 2019. Hälso- och sjukvårdslag (1982:763) [The Health and Medical Service Act; in Swedish]. Sveriges Riksdag. 1982. https://www.riksdagen.se/sv/dokument-lagar/dokument/svensk-forfattningssamling/halso–och-sjukvardslag-1982763_sfs-1982-763. Accessed May 2018. Hälso- och sjukvårdslag (2017:30) [The Health and Medical Service Act; in Swedish]. Sveriges Riksdag. 2017. https://www.riksdagen.se/sv/dokument-lagar/dokument/svensk-forfattningssamling/halso–och-sjukvardslag_sfs-2017-30. Accessed May 2018. Tandvårds-Läkemedelförmånsverket. Tandvårds- och läkemedelsförmånsverket [English website]. 2018. https://www.tlv.se/in-english.html. Accessed May 2018. Sök i databasen—Tandvårds-Läkemedelförmånsverket [Search the database—The Dental and Pharmaceutical Benefits Agency; in Swedish]. Tandvårds- och läkemedelsförmånsverket. 2018. https://www.tlv.se/beslut/sok-i-databasen.html?tab=3. Accessed Sep 2018. Rekommendation för etanercept-biosimilar SB4 vid reumatologiska indikationer—Janusinfo [Recommendation for etanercept biosimilar SB4 in rheumatological indications—Janusinfo; in Swedish]. Stockholm County Council. 2018. http://www.janusinfo.se/Behandling/Expertradsutlatanden/Analgetika-och-reumatologiska-sjukdomar/Rekommendation-for-etanercept-biosimilar-SB4-vid-reumatologiska-indikationer1/. Accessed Sep 2018. Preparatval vid subkutan behandling med TNF-hämmare [Preparatory selection in subcutaneous treatment with TNF inhibitors; in Swedish]. Region Skåne; 2017. https://vardgivare.skane.se/siteassets/1.-vardriktlinjer/lakemedel/riktlinjer/lakemedelsriktlinjer/tnf-hammare-preparatval-2019-01-01.pdf. Accessed Mar 2019. TNF-hämmare vid reumatologiska indikationer [TNF inhibitors in rheumatological indications; in Swedish]. Västra Götalandsregionen; 2019. https://alfresco.vgregion.se/alfresco/service/vgr/storage/node/content/workspace/SpacesStore/6124f9ce-475d-4dc5-a22c-a94c8c151069?a=false&guest=true. Accessed 10 2018. Läkemedelsverket/Swedish Medical Products Agency. Biosimilar [in Swedish]. Läkemedelsverket; 2017. https://lakemedelsverket.se/malgrupp/Foretag/Lakemedel/Biologiska-lakemedel/Biosimilar/. Accessed May 2018.